Marketing campaign for a web search engine company. 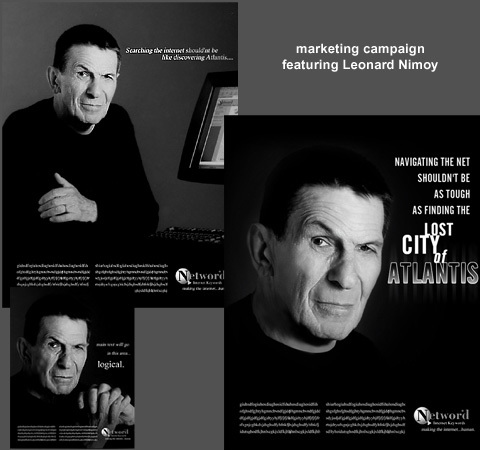 The advertising agency created a "corporate website, a series of themed magazine ads, printed brochures and direct mailers, graphics for tv spots, animated banners and other branding material such as a life-sized cut-out standie of Nimoy for a tradeshow." 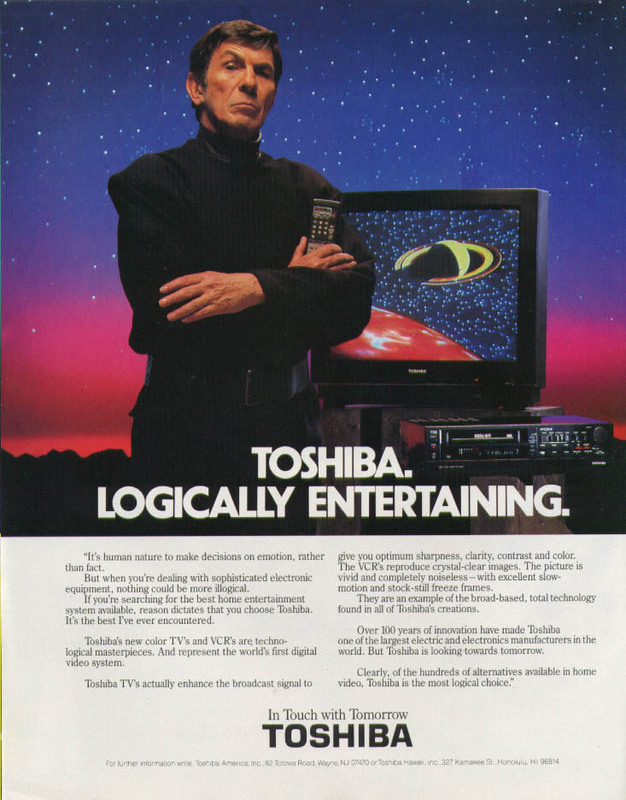 Leonard Nimoy was chosen for being well known from In Search Of and Star Trek as Netword's spokesman, according to the agency's website. The campaign appears to be mostly geared toward his involvemend with In Search Of, though. 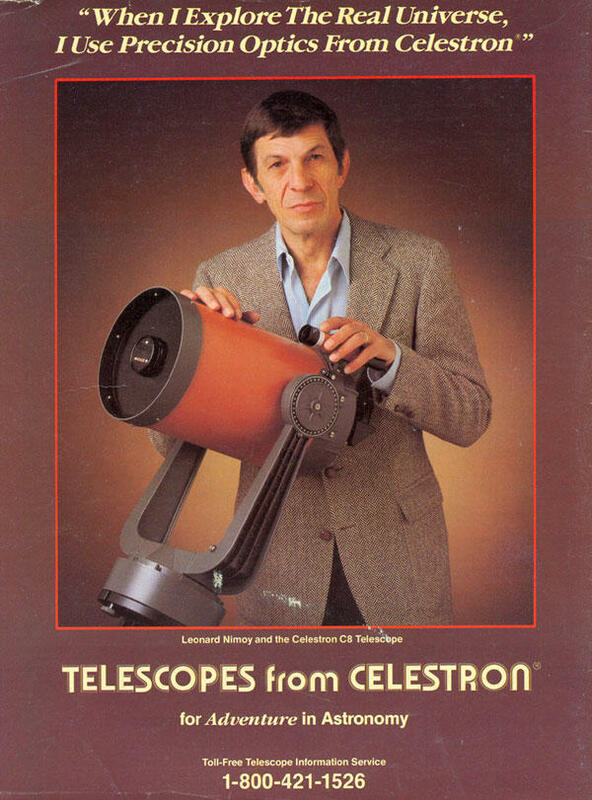 "It's human nature to make decisions on emotion, rather than fact (...)"
The caption reads: "When I explore the real universe, I use precision optics from Celestron". 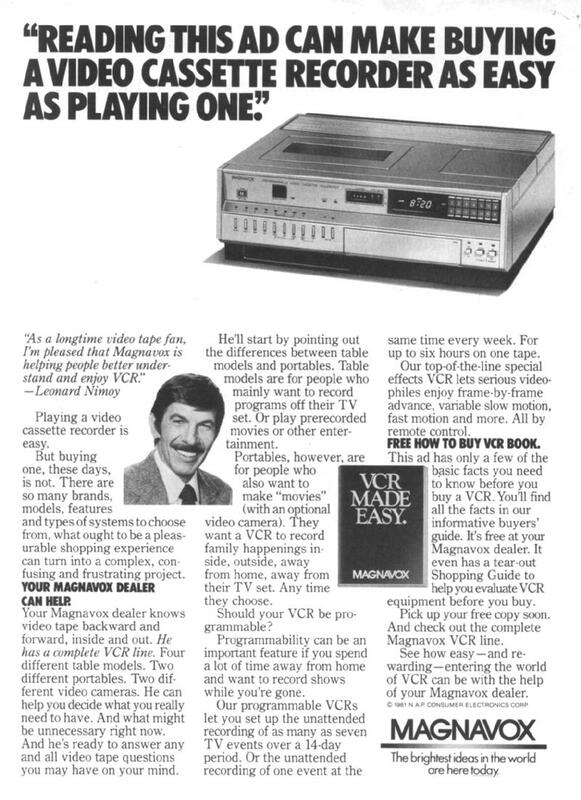 "As a lontime video tape fan, I'm pleased that Magnavox is helping people better understand and enjoy VCR - Leonard Nimoy"